LANSING, Mich. — State Sen. Mike Shirkey, R-Clarklake, visited with Branch County students at the YMCA’s Michigan Youth in Government (MYIG) legislative appreciation breakfast on Wednesday. MIYG’s mission is to provide leadership training to meet the needs of a democratic society and to develop an understanding and awareness of state government and national issues. 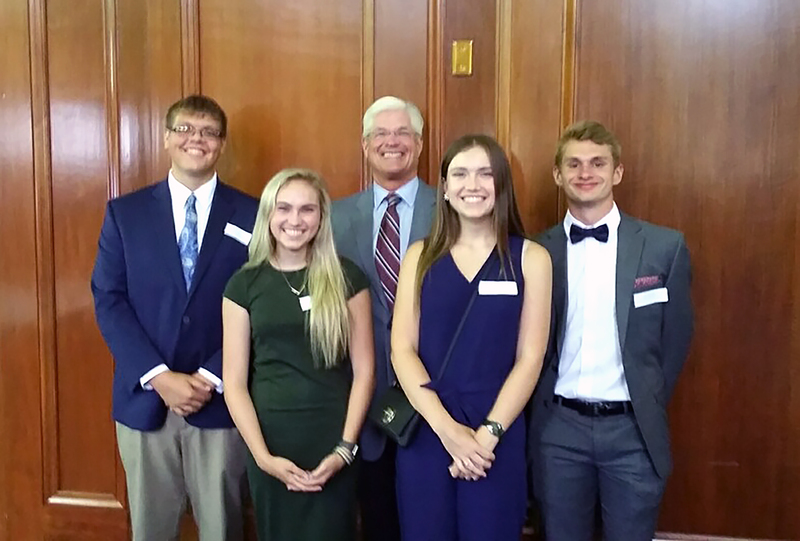 Pictured from left: Emma Grife from Coldwater High School; Meredith Grife from Coldwater High School; Shirkey; Kyle Germann of Coldwater High School; and Quincy High School student Luke Rufenacht, who currently serves as 2017-18 youth governor. Editor’s note: The above Shirkey photo is available by clicking on the image or by visiting www.SenatorMikeShirkey.com/photowire.